Doing the finished project happy dance!! 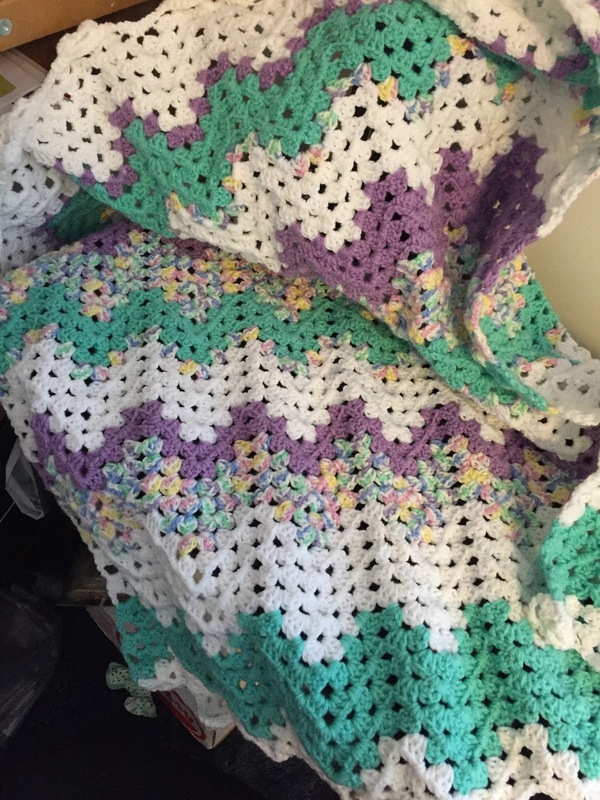 This is a baby blanket using yarn from my stash (rediscovered after sorting through and moving things into space saver bags.) One of what I am hoping will be many projects completed this year. I’m still in the process of organizing my various craft stashes. Using the space saver bags for my yarn got rid of 8 totes and freed up a lot of much needed space. I’ve also sorted through my fabric and organized it by color. They are back in totes that are labelled and that process got rid of quite a few totes as well. It’s amazing (and kind of annoying) going back through fabric that I HAD to have when I bought it and now it just makes me go “meh” and into the giveaway pile. 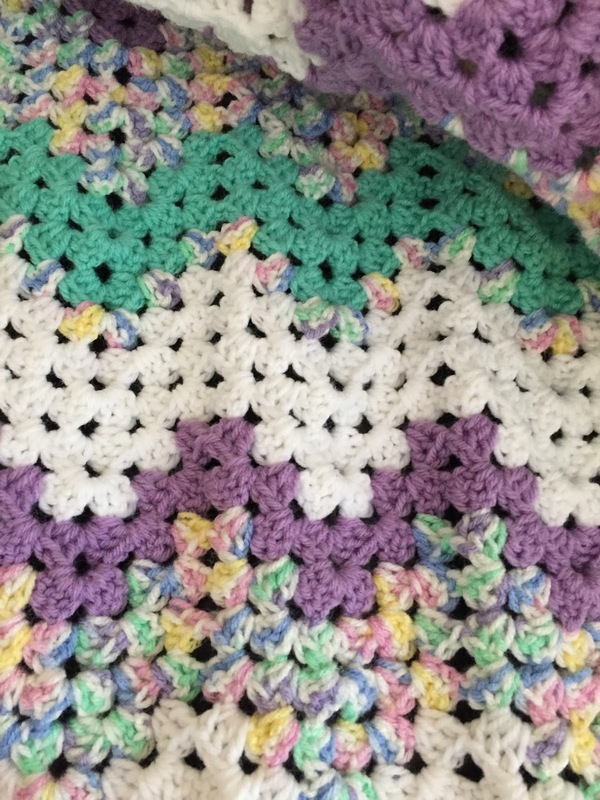 Any way, I think this blanket is going to find it’s way into my Etsy shop. Now to do a few eBay listings and start work in a quilt project. I feel like I’m finally moving forward! !